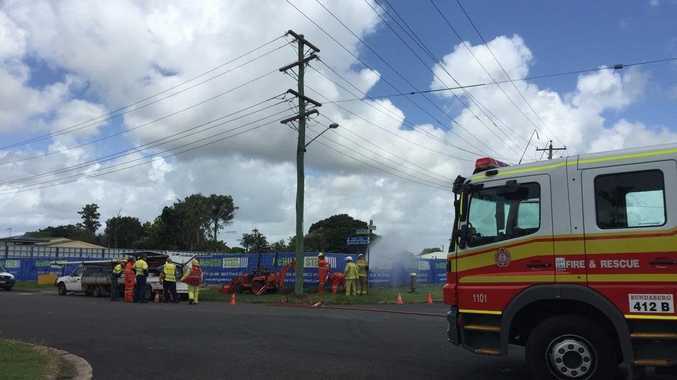 POLICE and emergency service crews attended a gas leak on the corner of Walters St and Mt Perry Rd, North Bundaberg this morning. Construction work was underway at the new Nemo car and dog wash premises when a directional drilling contractor came into contact with a gas line at approximately 9.12am. The natural gas line was ruptured and crews were sent to fix the leak. Police are currently on scene and diverting all traffic in the Walters Street and Mount Perry Road area. Diversions are in place, but police are asking motorists to avoid the area.